Southfield, Mich (November 22, 2014)– Adding to its impressive lineup of recent award wins, ChemicoMays (Chemico), a Michigan-based chemical management firm, has been named Michigan Chronicle’s Company of the Year. The award, given to only two outstanding companies each year, was presented at the 2014 Legacy in Motion Newsmakers Gala on Saturday, Nov. 22, in Detroit. 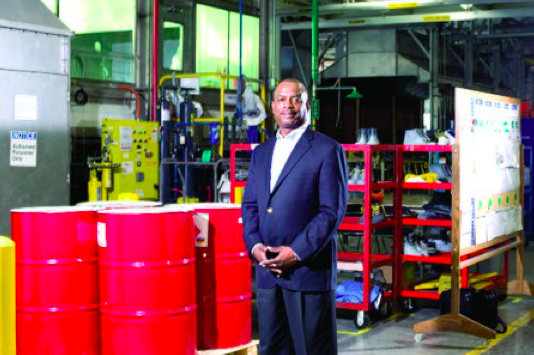 After nearly 25 years of continued success, Chemico is relentlessly focused on growth. The company is currently in the process of augmenting its business verticals to further support its current customers and facilitate growth. In addition to total management of the chemical lifecycle, Chemico is preparing to provide, enhanced services including comprehensive facilities management and waste management. The company will also expand its “green” product lineup and eco-focused solutions for clients. To date, Chemico has significantly reduced the carbon footprint of several Fortune 500 companies through chemical management services alone. In its eighth year, the annual gala celebrates individuals and companies that have made a difference in metro Detroit. Other honorees expected at the event include Roy Roberts and Earvin “Magic” Johnson, each of whom will receive a Lifetime Achievement Award; General Motors and Warren Evans, both slated to receive Newsmaker of the Year awards: Bishop Edgar Vann of Second Ebenezer Church, who is this year’s Community Spirit Award recipient and Evette Hollins, who will receive the Rising Star award. Chemico specializes in providing an integrated solution for the chemical lifecycle – from sourcing and procurement, to lean hands-on management, through environmentally conscious disposal. Founded in 1989, the organization has continued to experience positive growth year over year since its inception. Chemico serves customers across a variety of industries including automotive, aerospace, biotech and pharmaceuticals. The company operates more than 50 sites throughout the U.S., Canada and Mexico. Chemico’s past and current customers include General Motors, Fiat-Chrysler, Ford, Eaton, Toyota, Boeing, Amgen, Delphi and Honeywell. Legacy in Motion is one of metropolitan Detroit’s premier events that celebrates individuals who have made outstanding community contributions. Attended by movers, shakers and area newsmakers – from senior level executives and political officials to community stakeholders – Legacy in Motion recognizes and celebrates the top urban achievers of the year in an Academy Awards-style format. The program is designed to honor those who live and work to improve the economic, political and social landscape of Detroit.